Lecture at the FIDEM Congress Ghent, Belgium 2016. Published in the magazine Médailles 2016. 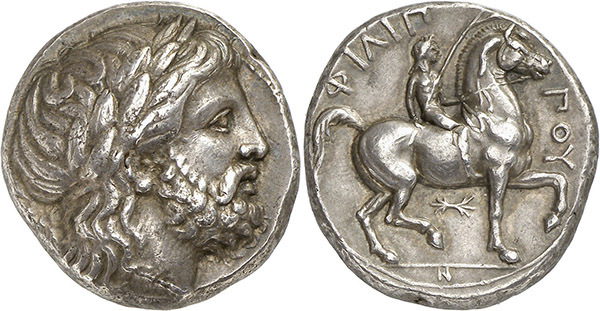 The Art Medals, like the artists, have been connected to Mint production since the first medals were struck in the Ancient Greek period. 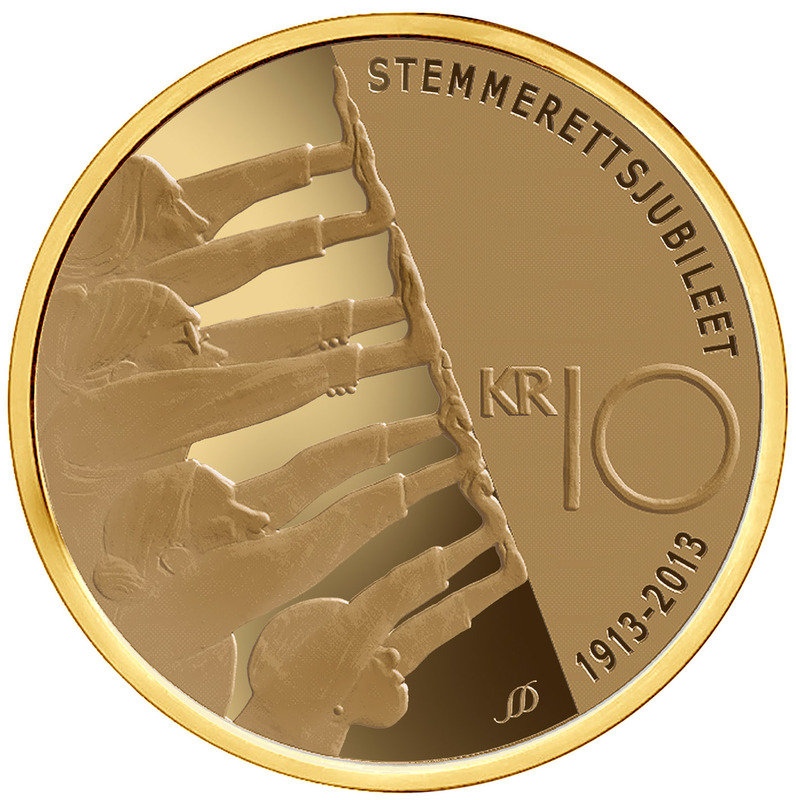 The artistic and technical qualities of these coins are high, and are still, highly admired in the World of Coins. 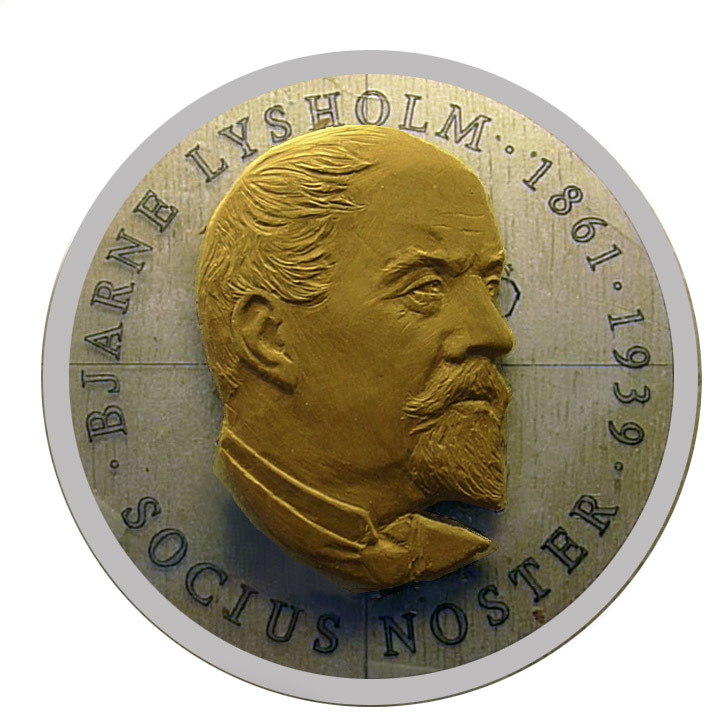 The Mint of Norway has been an active coin and medal producer for 330 years; Skilled artists and engravers have been engaged at the Coin industry through history and many great artists have been invited to contribute with designs and models. I believe the artistic talent and competence is most important for choosing people for this job. The handicraft is possible to learn and train, but the talent for art is not given to all people. Coins of high artistic quality have been created since the early morning of coin history. Greek coins are well known and their beauty was really at the outmost desire of the coin designer. The mint engraver used to cut the die directly in steel size 1:1. When the reduction machine came in the second half of the 19th Century, the enlarged models could take over for the engraving and the designs could be more exact and detailed. 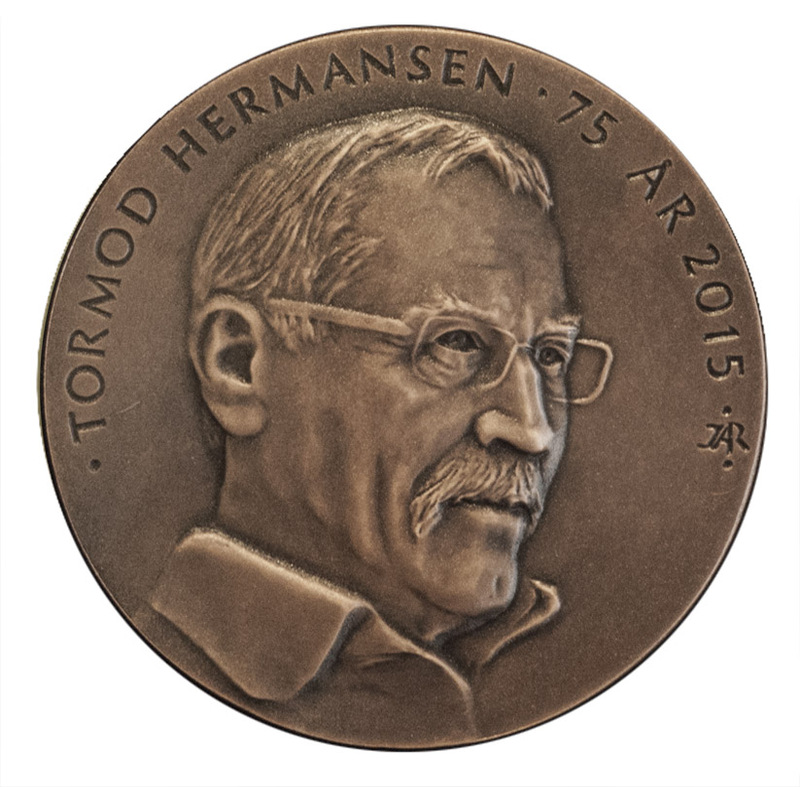 During my 31 years of work at the Mint I have been in contact with, and trained, many artists who have delivered models for coins and medals, which has been a very pleasant and productive collaboration. To my point of view the artist should have the whole responsibility for the work; from the drawing to the complete model ready for reduction. My part of this is to be a consultant: to give feed back on the design, and give advise in the technical process. When needed I have retouched technically on the plaster, but only in very few and special situations, I have changed the artistic output to amend a product. 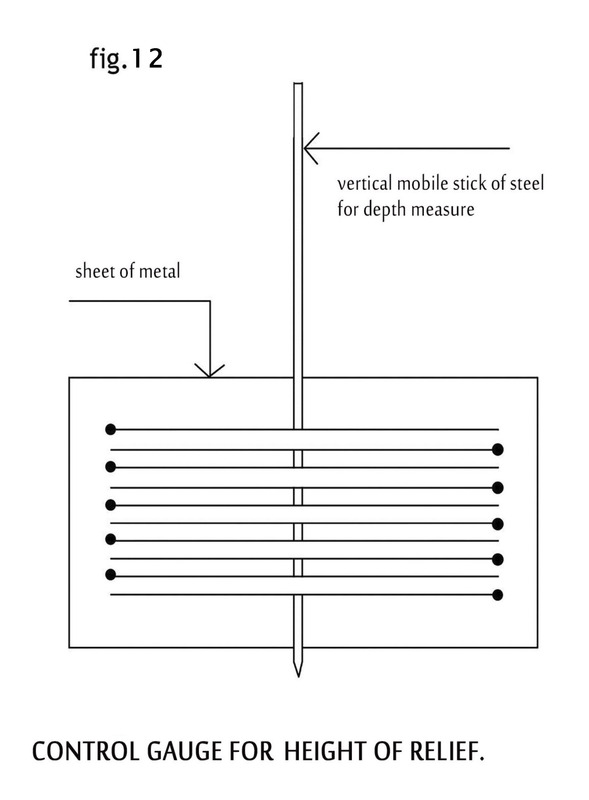 The technique of striking metal depends on several limits of the material property. In this lecture I will explain the most important issues to manage a good result. When planning the motif, it’s important to have in mind the technical restrictions to obtain the best result possible. It all starts with the sketch, and follows with a detailed drawing. • take responsibility for the design, guarantee high artistic level. • deliver a plaster model, ready for scanning in due time. • If photographs have been used for background of the motif, she must take notes of where they come from, and the photograph if possible. • Give advise and help with the design and the model making. • Be the link between the artist and the client. Help and advise to get the best result for both parts. • Take the juridical responsibility for motifs regarding rights of the photo when this is used. • Control and make sure the information and facts are correct. 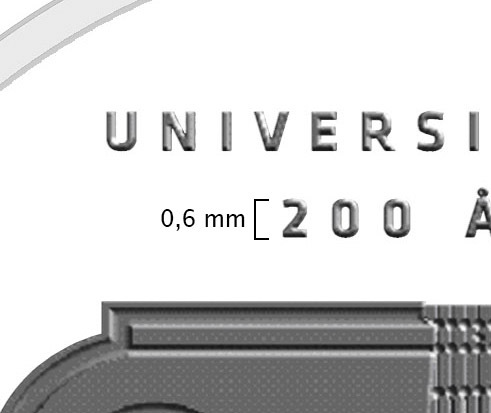 • sign the drawing for approval when it’s OK.
• The uncirculated coin (UNC): the unworn coin, right from the press. It is accepted having some marks from the hit when falling in the box of coins. These coins are usually shiny so the relief is “killed” with reflects. BU, Brilliant uncirculated: the dies are slightly frosted all over, it gives a silky surface and the relief is nicer. Proof coins: are special early samples of a coin issue, historically made for checking the dies and for archival purposes, but nowadays often struck in greater numbers specially for coin collectors (numismatists). The relief is frosted and the table is polished. The frosted surface gives the best output of the artwork; the sculpted relief appears nice and clear. The collector’s medals are classified in the same way. Production of proof coins and medals requires a high degree of accuracy, cleanliness and control. The striking takes place in virtually dust-free premises. All handling of the blank and then finished coin happen with gloves. Each copy will be checked carefully so only the perfect coins come out on the market. It ́s a common opinion that metals are hard and impossible to sculpt. We know that striking a relief from one metal to another is actually OK, but in that extent it depends on the type of metal, the thickness of the blank and the pressure. 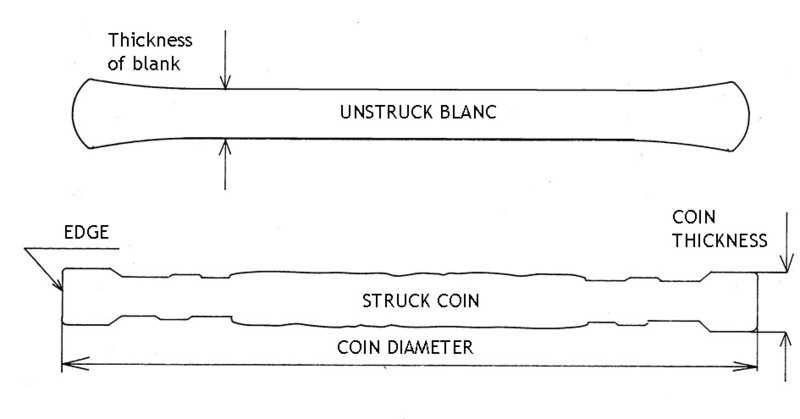 Struck coins are done with two dies; (with negative relief), between these a blank (piece of metal) hit with high pressure. Striking can be explained like a rolling outwards from center to the border.The object to be struck has a female curvature, so the center gives the highest relief, the maximum height of relief can be obtained within the central area, outside that the height must decrease to the lowest at the periphery. This curvature will be admitted by the mint. The artist deliveres a flat model. The border is the elevated final frame of the coin. • Fig 2. The perfect struck coin/medal is hit by all parts of the die; it’s easy to see when it’s not, the shiny surface of the blank comes through. • Carved directly in plaster, negative/mirror, casted to positive, retouched. • Sculpted positive in clay and finalized in plaster casted. • Modelled 3D on computer. • The end product is the plaster casted, preferably in hard synthetic plaster (usually 4-6 times larger than the finished product). • The model is scanned digitally, reduced and cut in steel in the milling machine. • The die is the negative tool in hardened steel. The coin design should, as far as possible, be designed so the obverse and reverse fit against each other and fill the surface evenly. We operate with maximum and minimum relief height: The highest relief can be obtained in the central area about 60 % of the diameter. Outside that it must be decreased to very low at the border. 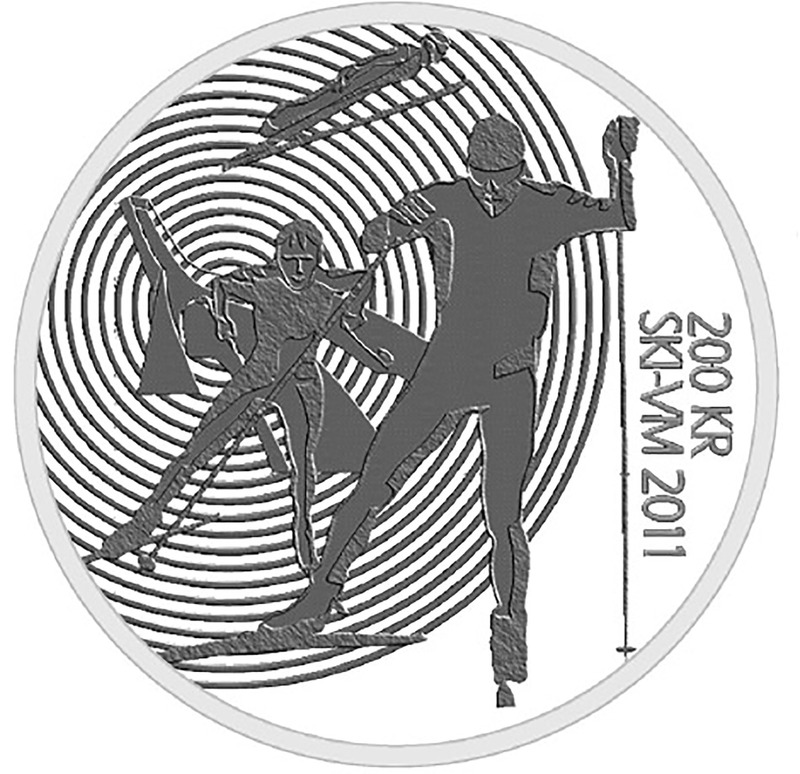 Going too high: the maximum relief will not be completely struck, the medal will be without imprint on the highest areas and the medal will be rejected. During the striking, high relief requires enough material for filling, there is a risk of “shadows” on the other side. Therefore we try to cover the other side with a motif that hides it. 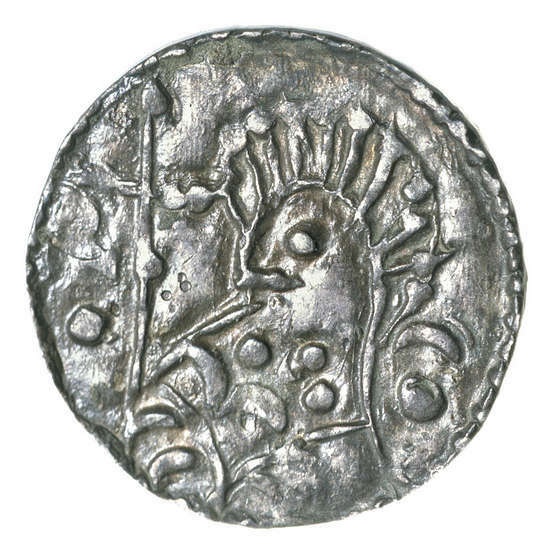 Inscription (circular text in the coin periphery) helps to slow the flow of material and prevent flow streaks. Text inscription must not be closer to the edge than half the height of the letter. 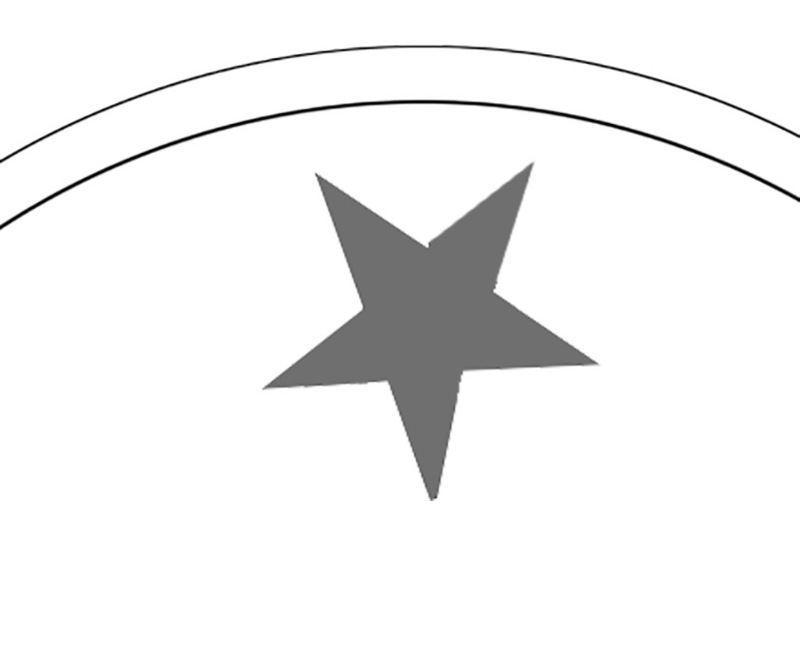 When you have the possibility to create both sides you should try to create a low relief motif on one of the sides to obtain higher on the other. 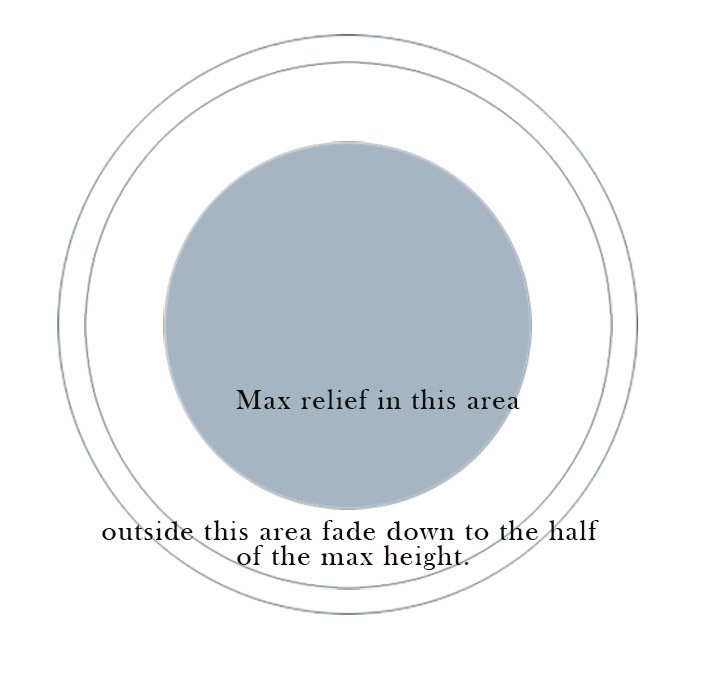 Obverse and reverse should be created to fit each other to avoid maximum relief on the same spot. The border is the highest part of the coin to protect the relief from being worn. The blank has a raised rim around the edge to give enough material to fill the border. Proof coins/medals should, by definition, be created with the relief separated clearly from the table. The design appears frosted contra the polished table. 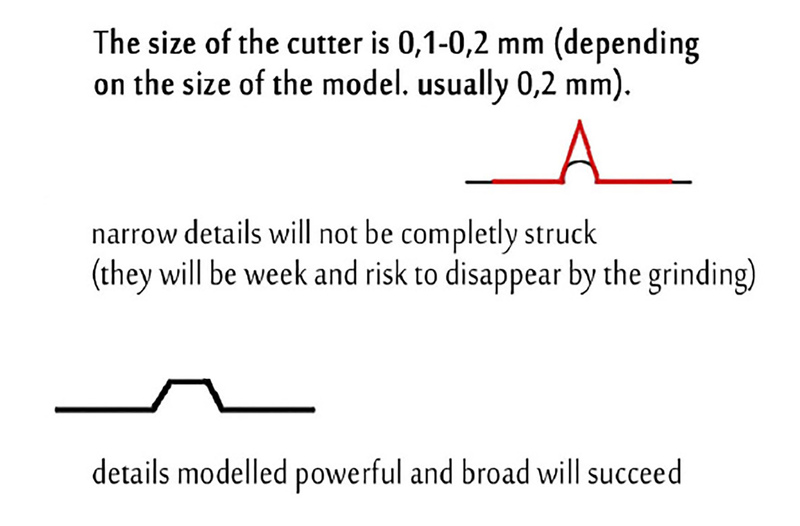 The minimum relief height is important; relief fading low to the table will not be accepted; the tool grinding removes a bit of the level, lower details risk to be removed. 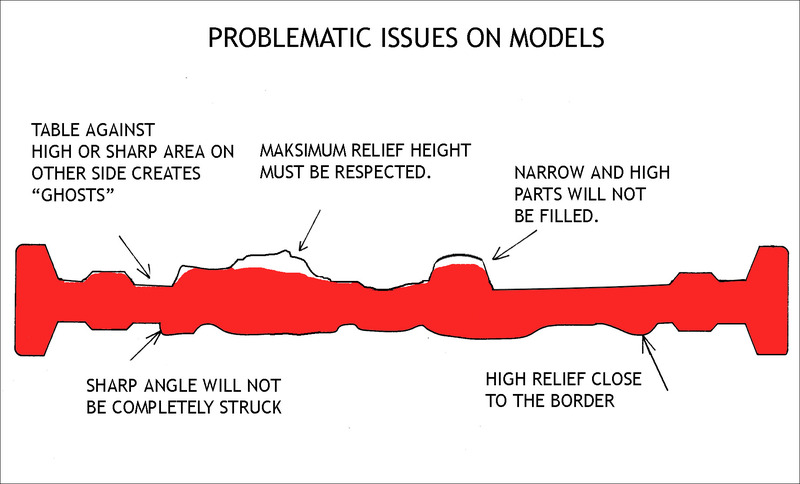 Moreover, if the minimum is not sufficient, we have nothing to go on if we have to reduce the relief height. There should not be steep angles and sudden high relief. High relief on narrow, small parts will be a problem. The relief must be lowered on these parts. No undercut: it harms the plaster cast, and by no means, no relief below the table. The details must not be too small and tiny. When the main motif is placed in the periphery; the relief needs to be reduced, not fear to a nice idea, but nececcary. Here, the text is lowered down to the table, and polished, which can be a nice effect. Make a conversion of the size of tool to model size and check if you are inside the possible area; cutter 0,2 mm multiple model size e.x. 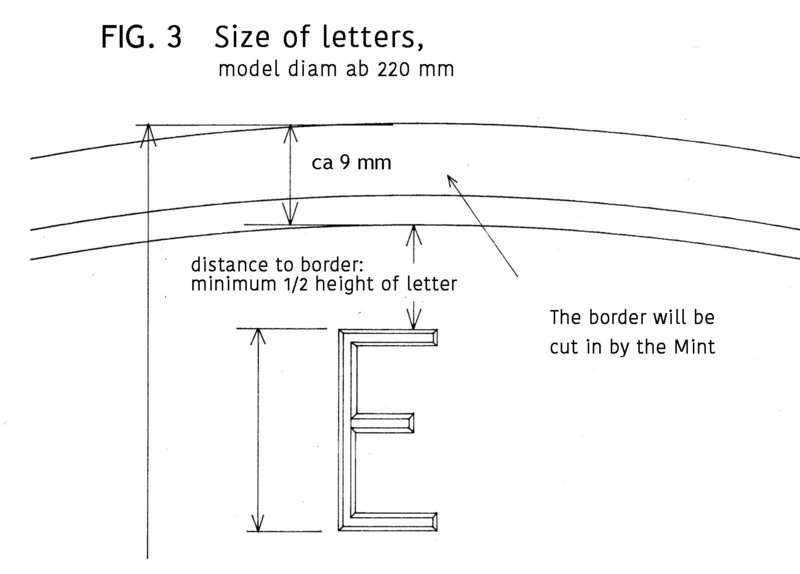 5 times bigger is 1 mm; meaning your details should not be smaller than that. Remember your model is not the final product. It will be reduced and your details will risk to be badly treated. It’s not impossible to obtain small details, but they should be visible as well! Small details are best when lifted on a frosted level: dim on dim. Text should be readable, even on the reduced sample. The text must not be too narrow, it needs to be spaced to obtain enough room for the angle to raise in relief, letters growing into each other are not nice. The area of text after spacing will interfere the composition. The model can be created directly in plaster, in negative and mirror or positive in plasticine. If the subject is cut negative in plaster, the first plaster must be casted on glass (plexi or synthetic material is not good enough since it moves during the curing heat). It pays to order a round plate of glass from glazier, about 6 mm thick, diameter up to maximum 230 mm. Remember: table must be kept completely clean and level, it’s the basis for the polished part of the coin. Models with uneven level risk to give unwanted changes to the medal. Hard plasticine is well suited to sculpt portraits and other complex shapes. This must be done on a round plate of glass as well. To control the heights, the control gauge for height of relief tool is helpful; dip the stick into the relief and measure the depth with Vernier calipers. When the modeling is finished, take a plaster cast. The last cast should be in hard, synthetic plaster. http://www. srl-dental.com/ has a nice plaster, it’s too hard for carving at the first step, but very nice for the last finalizing work. To mark the picture’s center make a trace with the dividers, make the circle greater than the real design to prevent the image to be damaged.